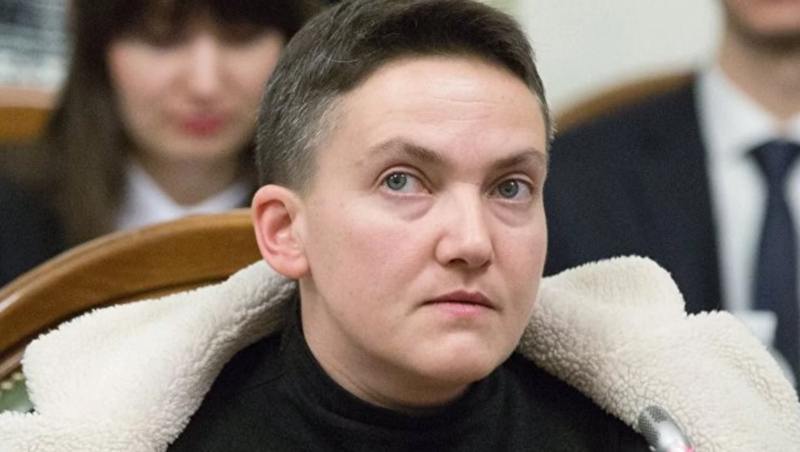 Shevchenkivskyi District Court of Kyiv refused the defense of the MP Nadia Savchenko to the change of preventive measure, she will be under arrest. Interfax-Ukraine reports. On Wednesday, August 29, the court viewed the complaint of Sovchenko’s lawyers to change the preventive measure. The defense asked to send her under house arrest or bail. Reportedly, Savchenko underwent a polygraph test. The Security Service of Ukraine (SBU) claimed that the psychological forensic examination with the use of the polygraph of MP Nadiya Savchenko has confirmed her intentions of the coup d'etat, particularly the commitment of the terrorist act in the governmental quarter and the Ukrainian Parliament. Shevchenkivskyi District Court decided on preventive measures for Nadiya Savchenko, Ukrainian people’s deputy – detention on custody for two months till May 20, 2018, without a right for bailment. During her speech, she declared a hunger strike. She also noted that she wasn’t going to escape Ukraine. Later, Appeal Court enhanced Savchenko’s detention until July 14. On July 13, her detention was extended and she declared an indefinite hunger strike. Nadiya Savcheko, MP is suspected of organizing a terrorist act in the Ukrainian Parliament and in the government district of Kyiv. Yuriy Lutsenko, Prosecutor General claimed that he has proof that Savchenko planned an armed coup d'etat, which would have brought to mass civilian casualties. In particular, according to the information of Prosecutor General's office, she planned to shell Kyiv from grenade launcher. Furthermore, she together with early detained Volodymyr Ruban are suspected of an organization of assassination of Ukrainian President Petro Poroshenko.